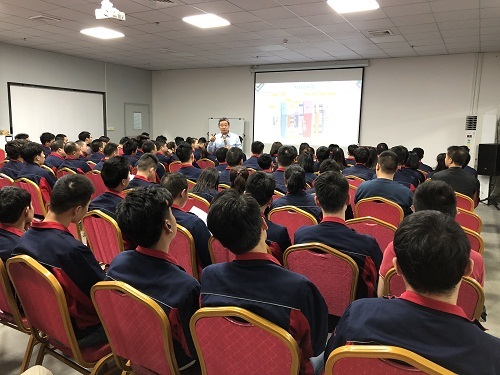 In order to improve the comprehensive quality of Yize employees and make them realize the importance of quality, Yize held a training meeting on the theme of "Mold Knowledge Training" on the evening of March 15. The meeting is divided into two parts. The first part is Manager Yang's analysis of the relevant knowledge of automobile wiring harness connectors. The second part is General Wang's speech on quality. For the purpose of this training meeting, on the one hand, to transform the single skill of employees into multiple skills, so as to achieve the synchronous growth of employees and enterprises; on the other hand, to improve the quality awareness of employees, so that employees realize the importance of quality. In addition, some norms in our work should also be paid attention to and put into practice. 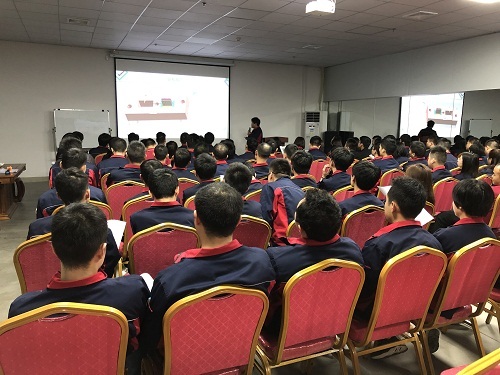 This is only the first stage of learning, there will be more knowledge of the mold learning!We should put an end to rough manufacturing, keep learning and growing, establish correct working concepts, and develop in step with YIZE!